I found this confusing when I use the neural network toolbox in Matlab. I notice in many training or learning algorithm, the data is often divided into 2 parts, the training set and the test set. what is the difference between validation set and test set? Is the validation set really specific to neural network? Or it is optional. To go further, is there a difference between validation and testing in context of machine learning? In one dataset (your "gold standard") you have the input data together with correct/expected output, This dataset is usually duly prepared either by humans or by collecting some data in semi-automated way. But it is important that you have the expected output for every data row here, because you need this for supervised learning. The data you are going to apply your model to. In many cases this is the data in which you are interested for the output of your model and thus you don't have any "expected" output here yet. Training phase: you present your data from your "gold standard" and train your model, by pairing the input with expected output. Application phase: now you apply your freshly-developed model to the real-world data and get the results. Since you normally don't have any reference value in this type of data (otherwise, why would you need your model? ), you can only speculate about the quality of your model output using the results of your validation phase. Then you estimate the accuracy of the selected approach (=test). Hence the separation to 50/25/25. In case if you don't need to choose an appropriate model from several rivaling approaches, you can just re-partition your set that you basically have only training set and test set, without performing the validation of your trained model. I personally partition them 70/30 then. Test set: a set of examples used only to assess the performance of a fully-trained classifier In the MLP case, we would use the test to estimate the error rate after we have chosen the final model (MLP size and actual weights) After assessing the final model on the test set, YOU MUST NOT tune the model any further! Why separate test and validation sets? The error rate estimate of the final model on validation data will be biased (smaller than the true error rate) since the validation set is used to select the final model After assessing the final model on the test set, YOU MUST NOT tune the model any further! My 5 years experience in Computer Science taught me that nothing is better than simplicity. ++Training set (60% of the original data set): This is used to build up our prediction algorithm. Our algorithm tries to tune itself to the quirks of the training data sets. In this phase we usually create multiple algorithms in order to compare their performances during the Cross-Validation Phase. ++Cross-Validation set (20% of the original data set): This data set is used to compare the performances of the prediction algorithms that were created based on the training set. We choose the algorithm that has the best performance. ++Test set (20% of the original data set): Now we have chosen our preferred prediction algorithm but we don't know yet how it's going to perform on completely unseen real-world data. So, we apply our chosen prediction algorithm on our test set in order to see how it's going to perform so we can have an idea about our algorithm's performance on unseen data. -During the Test Phase, the purpose is to see how our final model is going to deal in the wild, so in case its performance is very poor we should repeat the whole process starting from the Training Phase. At each step that you are asked to make a decision (i.e. choose one option among several options), you must have an additional set/partition to gauge the accuracy of your choice so that you do not simply pick the most favorable result of randomness and mistake the tail-end of the distribution for the center 1. The left is the pessimist. The right is the optimist. The center is the pragmatist. Be the pragmatist. Step 1) Training: Each type of algorithm has its own parameter options (the number of layers in a Neural Network, the number of trees in a Random Forest, etc). For each of your algorithms, you must pick one option. That’s why you have a training set. Step 2) Validating: You now have a collection of algorithms. You must pick one algorithm. That’s why you have a test set. Most people pick the algorithm that performs best on the validation set (and that's ok). But, if you do not measure your top-performing algorithm’s error rate on the test set, and just go with its error rate on the validation set, then you have blindly mistaken the “best possible scenario” for the “most likely scenario.” That's a recipe for disaster. Step 3) Testing: I suppose that if your algorithms did not have any parameters then you would not need a third step. In that case, your validation step would be your test step. Perhaps Matlab does not ask you for parameters or you have chosen not to use them and that is the source of your confusion. 1 It is often helpful to go into each step with the assumption (null hypothesis) that all options are the same (e.g. 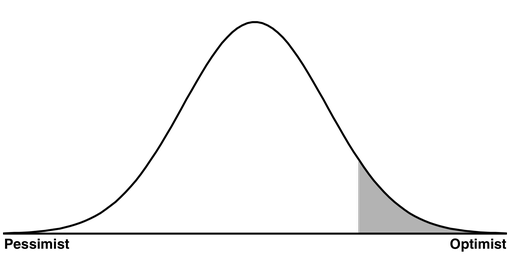 all parameters are the same or all algorithms are the same), hence my reference to the distribution. It does not follow that you need to split the data in any way. The bootstrap can provide smaller mean squared error estimates of prediction accuracy using the whole sample for both developing and testing the model. 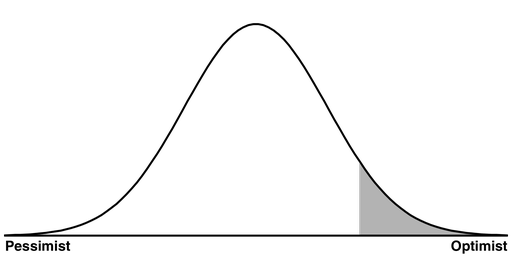 Typically the outer loop is performed by human, on the validation set, and the inner loop by machine, on the training set. You then need a 3rd test set to assess the final performance of the model. In other words, validation set is the training set for human. One way to think of these three sets is that two of them (training and validation) come from the past, whereas the test set comes from the "future". The model should be built and tuned using data from the "past" (training/validation data), but never test data which comes from the "future". Obviously I'm using quotes everywhere, because the actual temporal order of the data may not coincide with actual future (by definition all of the data generation probably took place in the actual past). In reality, the test set might simply be data from the same time period as the training/validation sets, that you "hold out". In this way, it had no influence on tuning the model, but those hold out data are not actually coming from the future. The training set is used to build the model. This contains a set of data that has preclassified target and predictor variables. Typically a hold-out dataset or test set is used to evaluate how well the model does with data outside the training set. The test set contains the preclassified results data but they are not used when the test set data is run through the model until the end, when the preclassified data are compared against the model results. The model is adjusted to minimize error on the test set. Another hold-out dataset or validation set is used to evaluate the adjusted model in step #2 where, again, the validation set data is run against the adjusted model and results compared to the unused preclassified data. I would like to add to other very good answers here by pointing to a relatively new approach in machine learning called "differential privacy" (see papers by Dwork; the Win Vector Blog for more). The idea allows to actually reuse the testing set without compromising the final model performance. In a typical setting the test set is only used to estimate the final performance; ideally one is not even allowed to look at it. As it is well described in this Win Vector blog (see other entries as well), it is possible to "use" the test set without biasing the model's performance. This is done using the special procedure called "differential privacy". The learner will not have direct access to the test set. Some people have confusion about why we use a validation set, so I will give a simple, intuitive explanation of what will happen if you don't use a validation dataset. If you don't use a validation set, you will instead have to pick hyperparameters and decide when to stop training based on the performance of the model on the testing dataset. If you decide when to stop training based on the performance of the model on the testing dataset, you could just stop training when the model happens to do well on the testing dataset. Then when you report your results, you report the accuracy on the testing dataset. The problem with this is that you could say your model did really well when in fact it was just a random variation that caused it to do better on just the testing set. If you use a validation set instead to decide when to stop training, the accuracy of the model on the testing set is more of an unbiased reflection of how well it performs on the task in general, and it shows that you didn't optimize the model just to perform well on the testing set. My Idea is that those option in neural network toolbox is for avoiding overfitting. In this situation the weights are specified for the training data only and don't show the global trend. By having a validation set, the iterations are adaptable to where decreases in the training data error cause decreases in validation data and increases in validation data error; along with decreases in training data error, this demonstrates the overfitting phenomenon. Why do we need a final validation set (training / testing / validation)? What is the validation data for the neural network? Cross-validation including training, validation, and testing. Why do we need three subsets? How do you use the 'test' dataset after cross-validation? Is it better to do exploratory data analysis on the training dataset only? Is Random Forest suitable for very small data sets? Algorithm selection based on results on test set?